A red wool coat with a draped high closure and decorative top-stitched pockets at breast and hip. 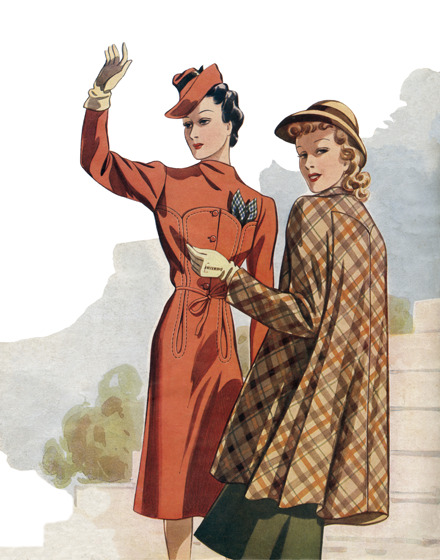 A full, short cape-with-sleeves in plaid wool. Vienna 1941.